Mahican Indians lived all along the Hudson River at the time of Henry Hudson’s exploration and the settlement of Albany in 1614. Relatives of the local Indians lived throughout New England. They spoke a common language, but lived in separate tribes. As the 1600’s went on, the population of Europeans in New England increased, and the Mahicans realized that peaceful coexistence was not going to be possible much longer. The pressure was not the same in the Dutch colony of New Netherlands because not many settlers had arrived. The Dutch focus was on trade, not settlement. But the Indians in New England saw that their way of life would be destroyed by the invasive Europeans, and decided to push back. In 1675-1676, the Indians tried to force the Europeans out of New England in what has come to be called King Philip’s War. “King Philip” was the anglicized name of the leader of the Wampanoag tribe, Metacomet. At first, the Indians had great success, attacking numerous small European settlements, and killing many settlers. But as the Europeans got organized, their numerical and technological superiority defeated the Indians. If you are interested in finding out more about the Mahican Indians and King Philip’s War, I suggest a visit to the Mashantucket Pequot Museum and Research Center, which is located across the street from the Foxwoods Casino near Mystic, Connecticut. The museum, funded with profits from the Casino, is fantastic, and gives a great view of Mahican life and history. They also have a movie about King Philip’s War. In the winter of 1675-1676, King Philip and a few followers made a journey to Schaghticoke. The war was not going well, and they came here to try to recruit some warriors to return with him to fight in the spring. Most sources suggest that the new Governor of the Colony of New York, Edmund Andros, organized the Mohawks to attack Philip, somewhere in Old Schaghticoke (near the current Knickerbocker Mansion), and he returned home with no new recruits. 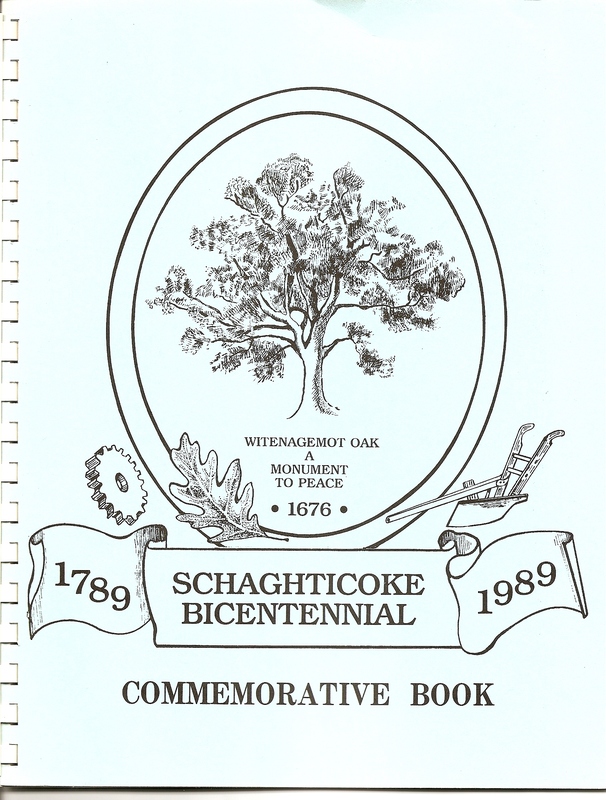 One book indicates that there was quite a battle, with the population of Schaghticoke swelled by “hundreds” of Algonquian Indians who were allied with the French. In any case, by August of 1676, Philip was dead, defeated near his home in Rhode Island. The end had come for Indian rebellion, and even Indian life in New England. Most Indians were forced from their villages, and wandered in groups of refugees from mixed tribes. That same New York Governor, Edmund Andros, invited those refugees to come and settle at Schaghticoke, where some of their relatives by language already lived. He promised them protection from their enemies, the Mohawks. They were to occupy land on both sides of the Hoosic River from the Hudson River inland for twelve to fourteen miles. Other European settlements in New England had emphatically rejected the impoverished Indian refugees. Why did New York seek them out? Andros hoped that the Mahican Indians would help protect the city of Albany from invasion from Canada by the French and their Indian allies. He wanted them to work for the colony as fighters, translators, and messengers. Governor Andros came to Schaghticoke to seal the covenant with the refugees in 1676. They planted an oak tree to symbolize the agreement. Later, the tree was called the “Witenagemot Oak.” Witenagemot is not an Indian word at all, but an old English word, meaning “Council of the Wise.” Indeed, on the 1877 Beers Atlas map of Schaghticoke, the tree is labelled, “Indian Council Tree.” Perhaps a well-meaning historian thought the name added a little more cachet to the tree. The oak stood until a hurricane in 1948. Its trunk, mostly cement due to various efforts to save it before it fell, is in the back yard of the Knickerbocker Mansion. If you are interested in reading more about the Pilgrims, Puritans, and King Philip’s War, I suggest the book Mayflower by Nathaniel Philbrick. Bibliography: Dunn, Shirley, The Mohicans and their Land, 1609-1730,1994. Richter, Daniel, Beyond the Covenant Chain, 1987. Church, Col. Benjamin, Diary of King Philip’s War, 1675-1676,reprinted 1975. Another important secondary source reference is “King Philip’s War” by Schultz and Tougias. If I remember right, they even quote Christina Kelly regarding the Schaghticoke connection to that bloody New England conflict. On interesting sideline with a Schaghticoke connection is that the Albany-area militiaman Gov. Andros sent to round up Mahican Indians in March 1676 was Lieut. Gerrit Teunisse Van Vechten. Gerrit’s nephew, Dirck Cornelisse Van Vechten, was among the first white settlers of Schaghticoke in 1708. There is an inaccuracy in the story above. King Philip’s home was not in Connecticut. It was in Bristol RI — and he was killed in Bristol. Thank you so much Marguerite- I don’t know why I wrote Connecticut when I know very well it is Rhode Island- I’ve driven all over that area. I have corrected my post!! Thanks,Ann. It’s certainly possible that it was a metaphorical tree. The Schaghticokes did ask for a second tree to be planted around 1710 I think, as their numbers had increased so much- but I guess that could have been metaphorical as well. It is interesting that one of the oldest detailed town maps, 1856, does not show the tree, but the 1876 Beers Atlas labels it “Indian Council Tree.” Of course sometime soon after that, it was named the “Witenagomet Oak” by well-meaning local historians= causing much confusion down to today. As you said, it is sure that the locals considered it a real tree for many, many years- and to today, as do the Abenakis who came from Canada and picnicked next to the corpse of the tree a few years ago.